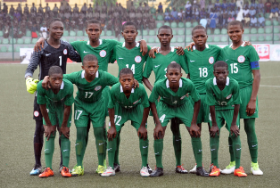 Nigeria’s Golden Eaglets will begin their 2019 U-17 African Cup of Nations campaign as they take on hosts Tanzania in the tournament’s opening game this afternoon at the Benjamin Mkapa National Stadium. Golden Eaglets captain Samson Tijani added that the team is ready and are composed, that they should be able to handle the title-seeking Tanzanians inspired by former Golden Eaglets coach Emmanuel Amuneke. The Golden Eaglets will take on Angola and Uganda next in group A.